A natural combination for the nutritional support of the skin and coat. Formulated to assist breathing in a hostile environment. 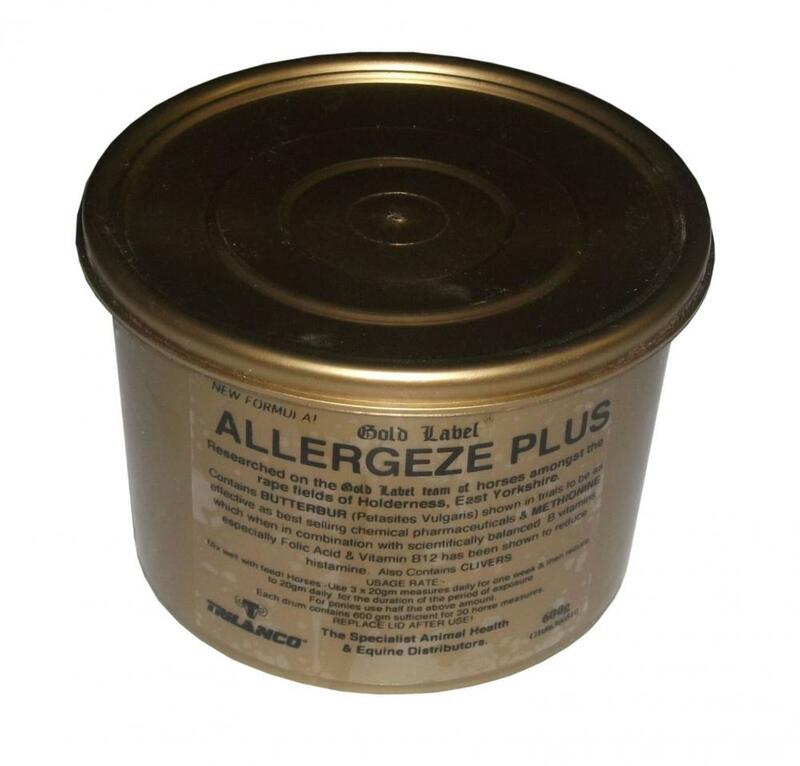 It also supports the respiratory system from dust and pollen. Do not use on pregnant mares. 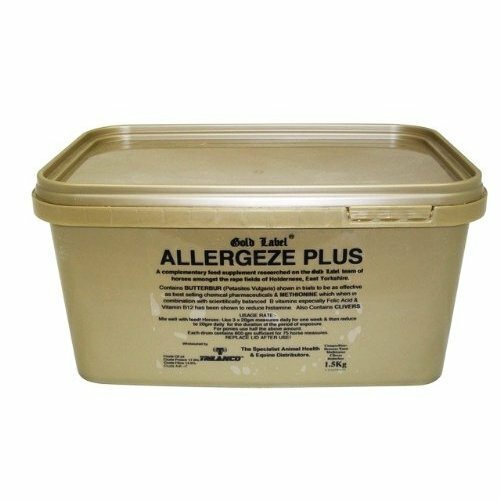 Below are some recent questions we've received regarding Gold Label Allergeze Plus for Horses, including answers from our team. What’s in it and What dose? What are the ingredients and what is the dose for a 500kg horse so I can see the cost, thank you. This supplement contains Butterbur, Methionine, Folic acid, Vit B12 and Clivers. The dose for a 500kg horse would be 3 x 20g measures daily for one week then reduce to 20g daily.